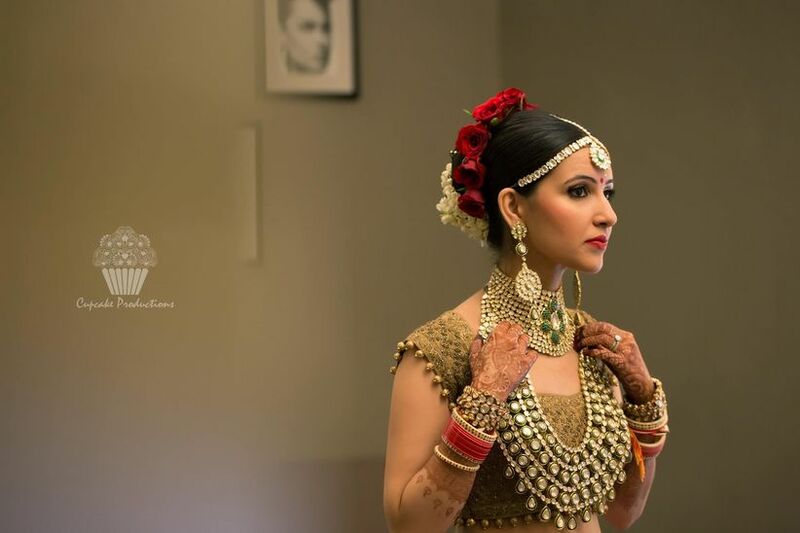 Golden Lehenga Blouse Designs Which Make Your Bridal Attire Shine | Wedding Tips ARE YOU A VENDOR? Googling 'best blouse designs for weddings', 'golden Lehenga blouse designs’ and ‘Cholis for your body type'? 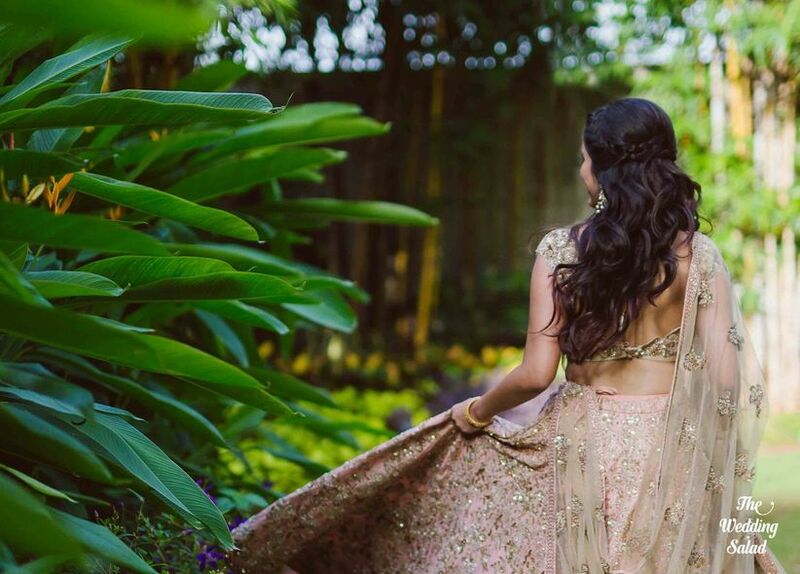 Here’s our compilation on how you can choose the right one for your golden Lehenga, without going OTT. 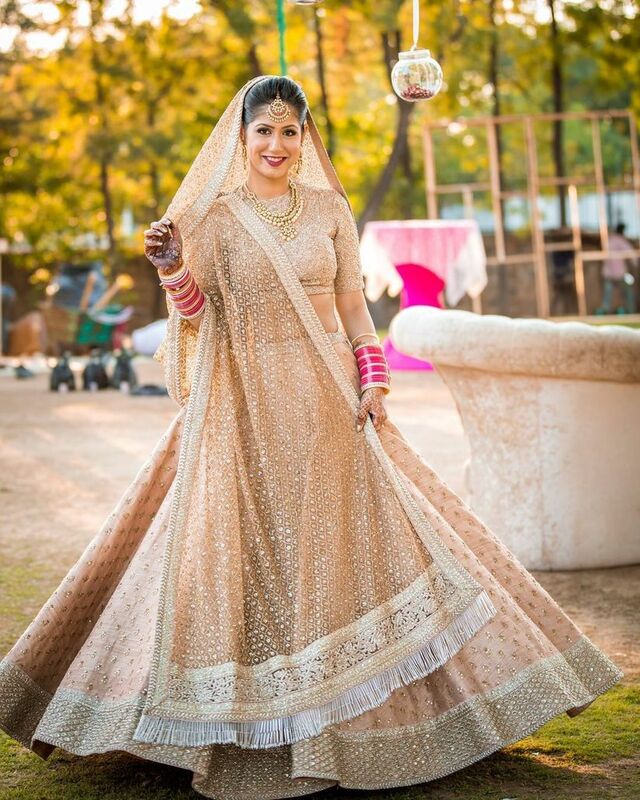 Ladies, you can never go wrong with a golden Lehenga! 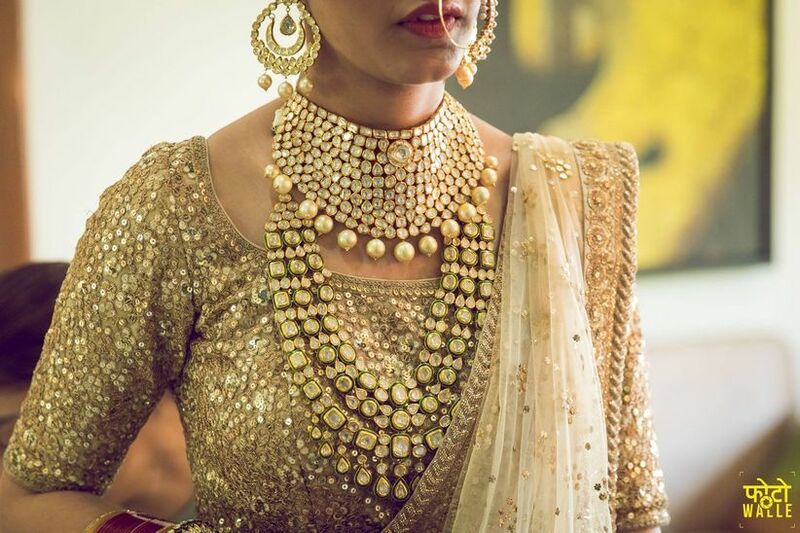 Whether it’s for your wedding, your friend's wedding or just a pre-wedding function, the colour gold is so versatile that it would make you'll the diva at the venue. 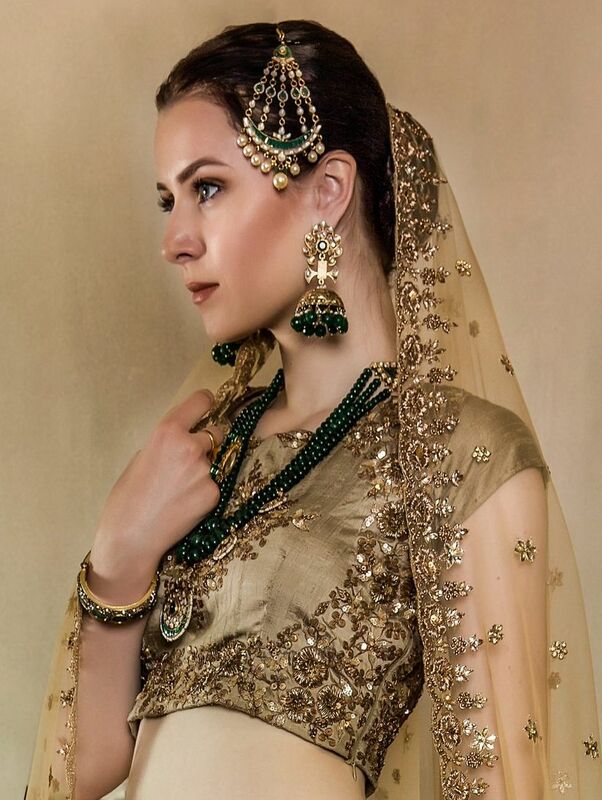 However, choosing just the right kind of blouse to go along with that Lehenga can be a tad tricky. You need to consider what's in trend, what shade to choose and how to style it according to your body type. 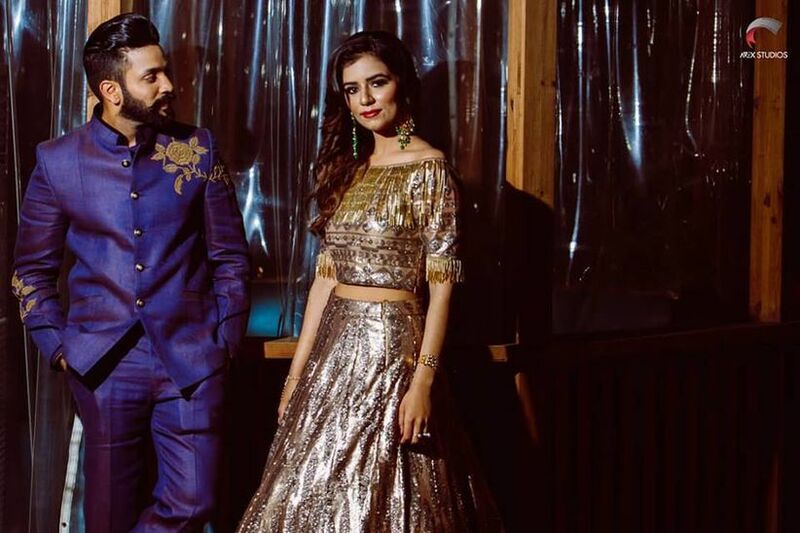 So if you're still searching for that 'perfect tailor' or browsing the internet on what blouse types will suit your golden lehenga (and you) perfectly, this is for you. 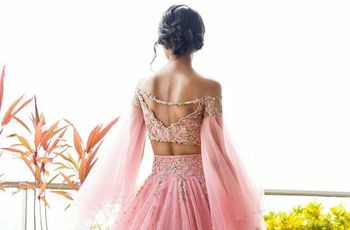 Here is the ultimate guide on all things you might consider while looking for golden Lehenga blouse designs. Everyone wants to wear something that is tailored to perfection and looks best on them. Which is where knowing what style will suit your body type comes in handy. If you have a pear-shaped body, then you might want to go for something that redirects the attention from your bottom to your shoulders. Now since you have that perfect little dainty and feminine upper body, you can opt for halter neck and backless blouses. If you have a long neck, you can go for some vintage high neck options to add volume to your shoulders. But those with shorter necks should avoid high-necked blouses and go for the ones with a plunging neckline. If you have an apple-shaped body, fret not! You can go for blouses with 3/4th sleeves to cover up those flabby arms. The best part about wearing a 3/4th-sleeve blouse is its versatility. You can have it designed as per your preference and rock it with the cuts (including cold shoulders) and embellishments you want. However, avoid going OTT with the embellishments, as it might make you look a little fuller. If you have an athletic or a straight figure then wearing a perfectly-fitted cropped blouse is the way you make your statement in the function. 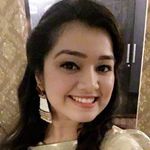 Basically, you're blessed with a 'flab-less' body, so whether you wear blouses with noodle straps or have them designed corset style, you're going to make heads turn! If your waist is a slightly more horizontal in proportion to your bust and your bottom, a tad wider than your shoulders, then you have a diamond-shaped body. Wearing blouses with a leaf-shaped plunging neckline which accentuate your collar bones, taking all the attention away from your waist and making you look perfectly proportionate overall. A regular-sleeved blouse will not make you look regular, given how you style it. The best part about this design is that while most gals in a wedding function will not opt for it, you will beautifully stand out. You can choose the cut to be either backless or opt for a plunging neckline, and team it up with minimal jewellery. This goes mostly with all body types. Give a little makeover to the regular 3/4th sleeves and go for transparent or sheer sleeved blouses. They will make for a perfect contrast in your attire, while also making you look stylish and concealing your fuller arms. You can either go for nets or a thin piece of cloth with minimal contrast work. Since the broadness and the style of the straps can be changed according to your preferences, a sleeveless blouse can be worn in many ways. It is the perfect fix for a summer wedding, which is comfortable yet chic at the same time. 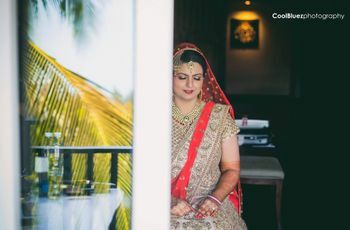 You can go for brocades or silks, depending on the kind of a lehenga you’re wearing and even customise by adding latkans to it. 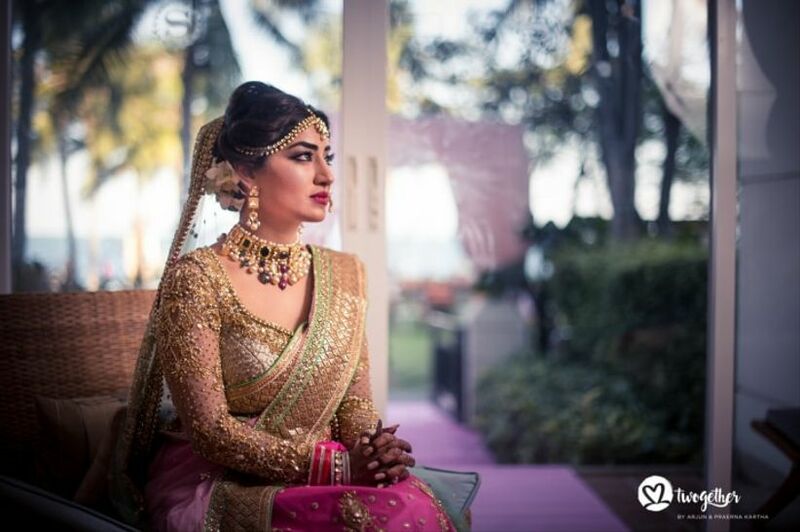 Pair your look with a choker and some not-too-heavy earrings since your Lehenga is golden in colour, and you’ll get those eyes rolling. Skinny gals, this will work like a charm for you! Off-shoulder is the new cold shoulder! Wearing an off-shoulder blouse with your lehenga will not only make you look uber chic but will also add a western touch to your outfit. Tie your hair into a messy bun to shift focus on your shoulders and team it up with some heavy earrings and you’re good to go. 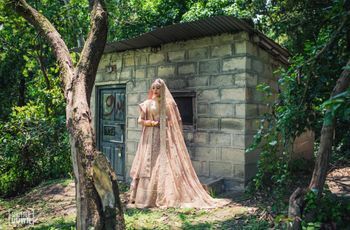 Cape-style cholis or blouses are a new rage this wedding season. 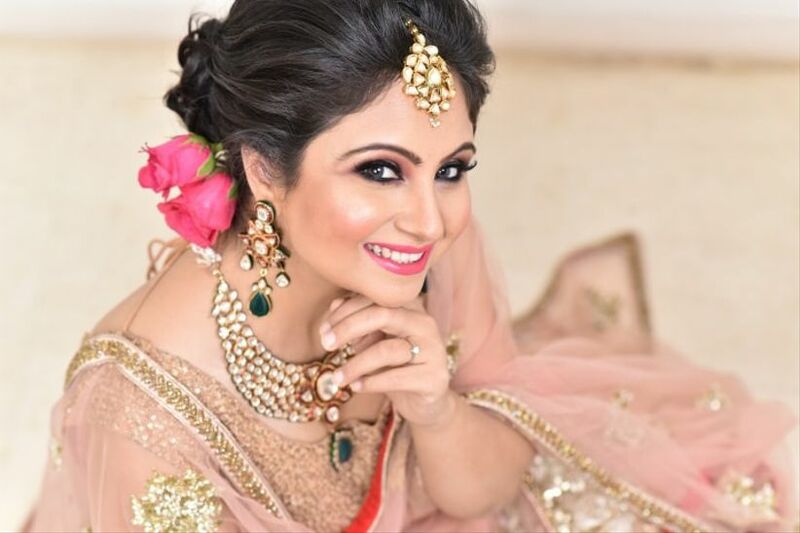 They work perfectly with a gold Lehenga if chosen in contrasting colours. The extra layer of cloth falling from your shoulders to your waist covers the areas you don’t want to flaunt while making you look no less than a diva. You can also choose to wear a blouse with butterfly sleeves. 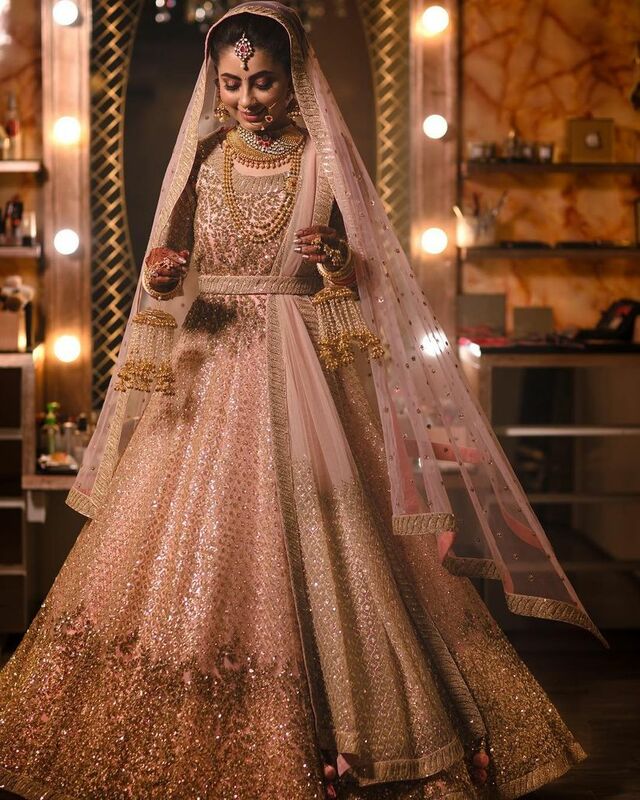 The flowy texture of the sleeves will up your glam quotient if your golden lehenga is a little embellished. Go for a narrower neckline, preferably V-shaped, otherwise, it’ll only add volume to your upper body. To add more to your unique look, make sure you slap on some heavy earrings. 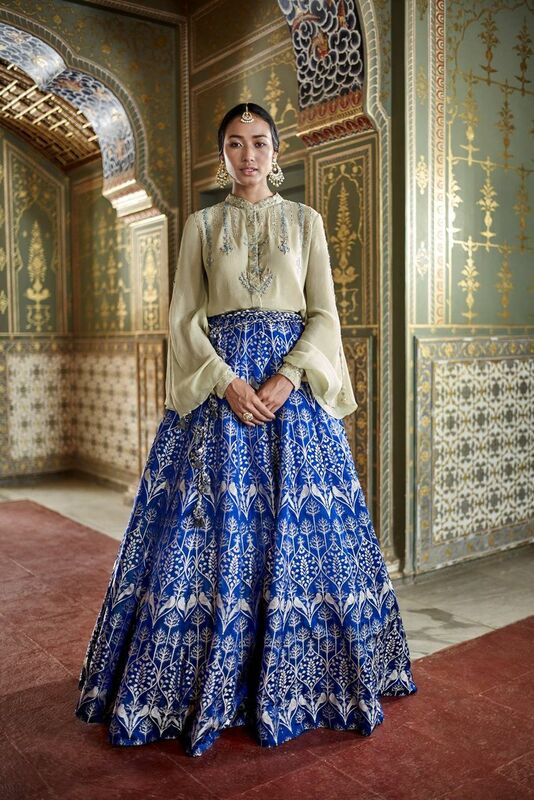 A blouse with bell sleeves will do wonders to your outfit if you want to add that extra flare to your Choli. It’s best to opt for a longer blouse in silk, perfectly fitted around your waist and upper arms with bell-shaped pleats in continuation. It’ll be a perfect fit if you plan on going a little retro with your look. All you need to do is add a little flower to your hairdo and voila! 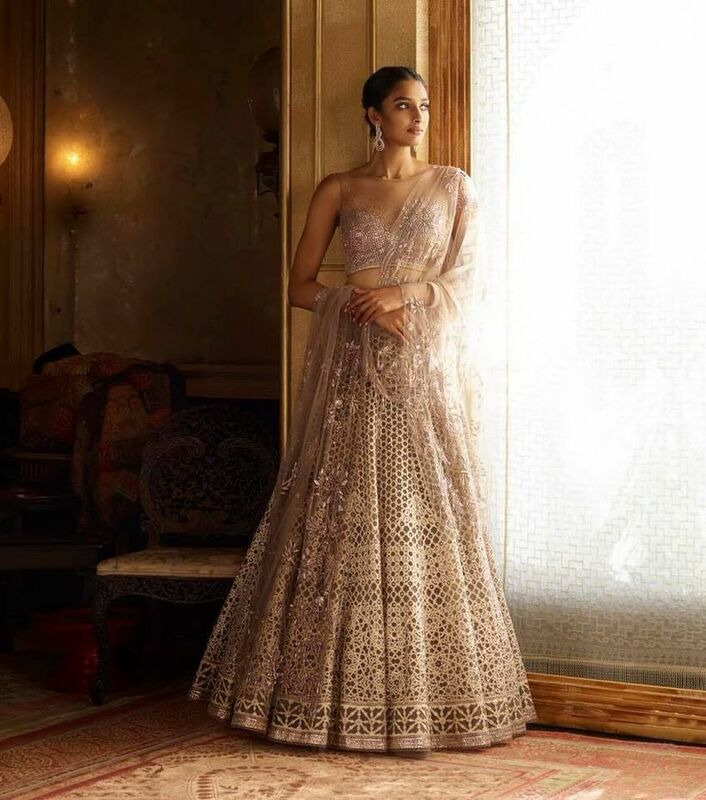 So now that you know what suits your body the best and what style is in vogue, go ahead and pitch in the orders for your bridal Lehenga today. Why don’t you share your experiences of finding the right fit after reading this article?